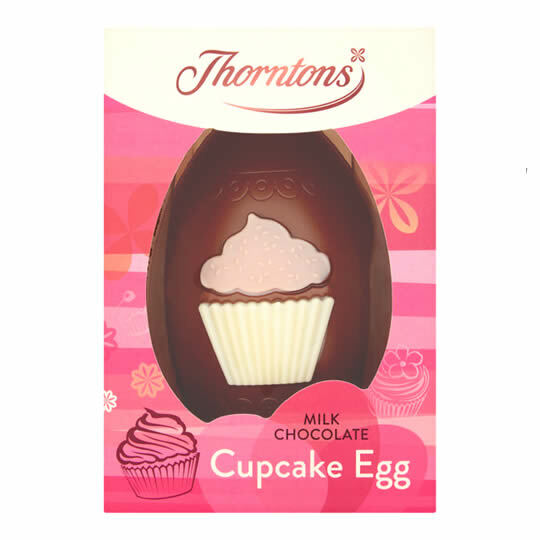 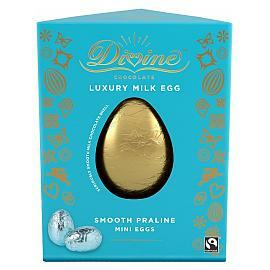 Thorntons Cupcake Easter egg is a milk chocolate egg with a cupcake decoration on the front. 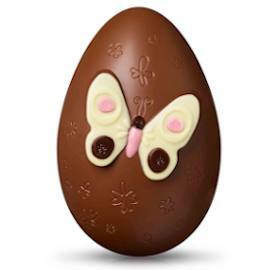 A fun novelty Easter egg made from milk chocolate with a white chocolate cupcake and pink, white chocolate, icing, perfect for anyone with a sweet tooth. 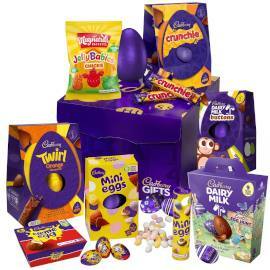 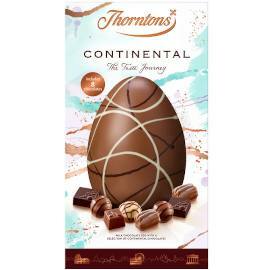 One of six novelty Easter Eggs from Thorntons, the others include the Thorntons Butterfly Easter Egg, the Thorntons Star Easter Egg and the Thorntons Harry Hopalot Easter Egg. 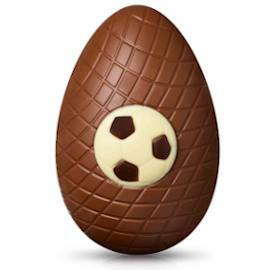 A milk chocolate Easter Egg with a cupcake decoration on the front made from white chocolate, from the from Thorntons Easter Egg collection.